We offer fully mobile recording services covering the whole of the UK. Whether it's a session in your home or rehearsal space we can cater for all e.g. church and school choirs, musical theatre, bands, groups and live performances. Recording is carried out using Digidesign ProTools HD2. The system is operated by an experenced Digidesign engineer. recording system or linked with an existing PA system. 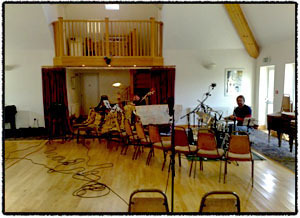 We can also arrange a recording space suitable for your project. 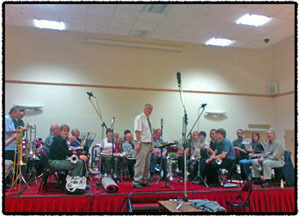 from solo artists to 60 piece orchestras and full choirs.